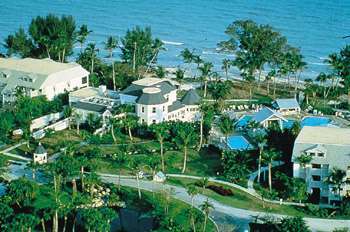 This timeshare corporation is based in Boca Raton, Florida. With over 60 resorts, BlueGreen has been in business since 1966. The concept behind the BlueGreen Corporation is to acquire amounts of unused or undeveloped land just outside of large cities within the United States. BlueGreen then divides this land into smaller sections of about one quarter acre. The corporation also acquires partially constructed communities in anticipation of completing the project. Individuals or building developers are then given the option to purchase the smaller sections for purposes of building residential homes. After the residential homes are constructed a community is born. So what else is BlueGreen responsible for? The corporation constructs roads, utilities and amenities for the new community of residential homes. Once the communities are developed, ownership and maintenance responsibilities are given to the local government, utility companies and the property owners association. BlueGreen Corporation is divided into two parts, BlueGreen Resorts and BlueGreen Communities. BlueGreen Communities consists of BlueGreen Golf and BlueGreen Southwest. BlueGreen Southwest is responsible for developing communities throughout South texas. BlueGreen Golf has developed communities across the United States. What types of amenities are available at the BlueGreen communities? For the most part, every BlueGreen community holds a swim and tennis center as well as a clubhouse. Activities such as hiking, trails, lake recreation and golf courses are available at most of the BlueGreen communities. The community golf courses are designed by PGA professionals. Please visit www.timesharebrokersmls.com for more information about purchasing your BlueGreen timeshare today!